Ordering is possible with and without an account. By registering for an account, you do not need to enter your address information during subsequent orders. To change your account information, please send us an e-m﻿ail at﻿ webshop@deltapatents.com mentioning the e-mail address associated with your account and the desired changes. This book contains a set of approximately 500 basic legal Questions and Answers for candidates preparing for Pre-Exam and Main Exam. 100 Questions are in True/False format. A Study Guide is included. For Pre-Exam candidates, to start practicing exams and solving claim interpretation cases. This book offers a legal Study Guide, claim interpretation cases and the DeltaPatents model solutions for the two mock-exams and the two official Pre-Exams (2012 - 2013). This book contains a set of more than 350 legal and exam style questions as well as a comprehensive Study Guide and an abbreviations list. 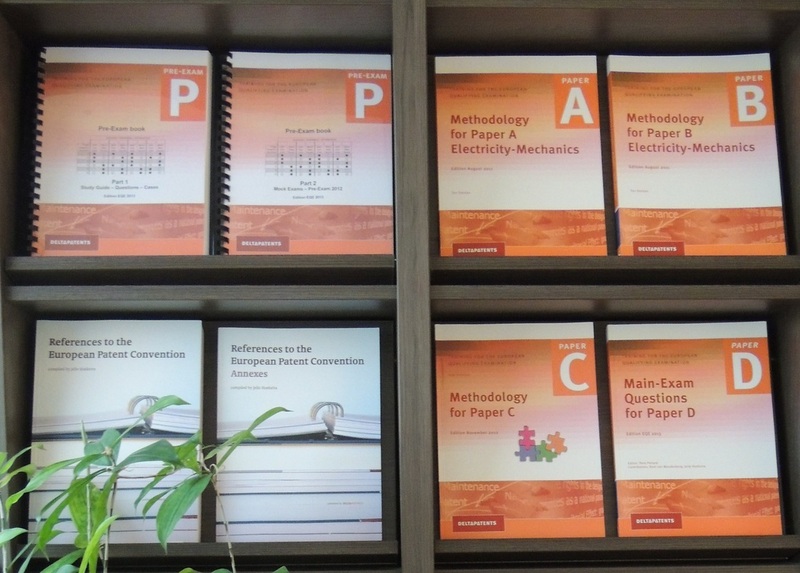 For Paper A and B (E-M as well as CH) and Paper C we have developed methodology books. The books describe the requirements of the paper and, in combination with thorough discussion of the EPC provisions relevant for the paper, present a structured approach for tackling the paper. For each Main-Exam paper, we have developed very detailed and thorough Analysis and Model Solutions. The booklets cover analysis of the paper, applying the methodology to the paper and the correct answer, updated for the current law. The ideal reference book for the EQE and daily use. The main book, of almost 790 pages, gives the EPC Articles, mixed with the Rules, relevant parts of the Guidelines, many selected Ancillary Regulations, all Enlarged Board decisions and all established case law. Many flow-charts and tabels are included. Discussed the elements that need to be covered to ensure that patent assets are used to their full potential. It provides practical management tools for aligning patent, business, and R&D strategies.